The old man motioned for the young scientist to come forward. Moishe swallowed hard and presented the rabbi his datapad to inspect while he gave his verbal summary. Rabbi Golnitz was infamously impatient with electronic reports; he found that they were unwilling to engage in spirited debate, an activity which the old man enjoyed even more than watching air-chariot races on the holovid. The rabbi pursed his lips as he touched the slides on the datapad. Moishe continued. The rabbi shrugged and bobbed his head in a gesture which Moishe had come to understand as grudging acceptance of the point. “Further, while the Seed was being prepared, our scholars poured over all the pertinent documents available in the libraries of the Chasidim–including the ancient physical texts. We were also successful in our effort to hack into the Imperial archives.” Moishe smiled with pride at this last accomplishment; his precious Devorah had been part of that team. Moishe shook his head. “Such a journey would be too dangerous, Rebbe. Your mass is too great…” The young scientist paused as he realized the implied insult of his admonition. Moishe nodded and looked at the floor, remembering his late lab partner and former college roommate. The rebbe returned Moishe’s datapad and clapped his hands, rubbing them together. “So. We have selected a historically significant place and time to sow our seed and we have a willing recipient for our sample of prime Semitic manhood.” The old man winked jovially at the younger man, knowing it made him uncomfortable to treat the project so lightly. He sighed and took the young scientist by the elbow. “We have waited so long for freedom, eh Moishe? We have waited for the coming of the Messiah, and he has indeed tarried.” He paused before entering his access code into the sealed doors of the test chamber and clasped the young man by the shoulders. 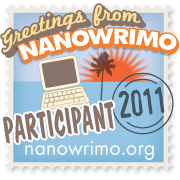 This entry was posted in Stories and tagged Christmas, fiction, holiday, sci-fi, short stories. Bookmark the permalink.